For those clients happy to work on the water but do not like using a rowboat because of safety and hygiene issues. 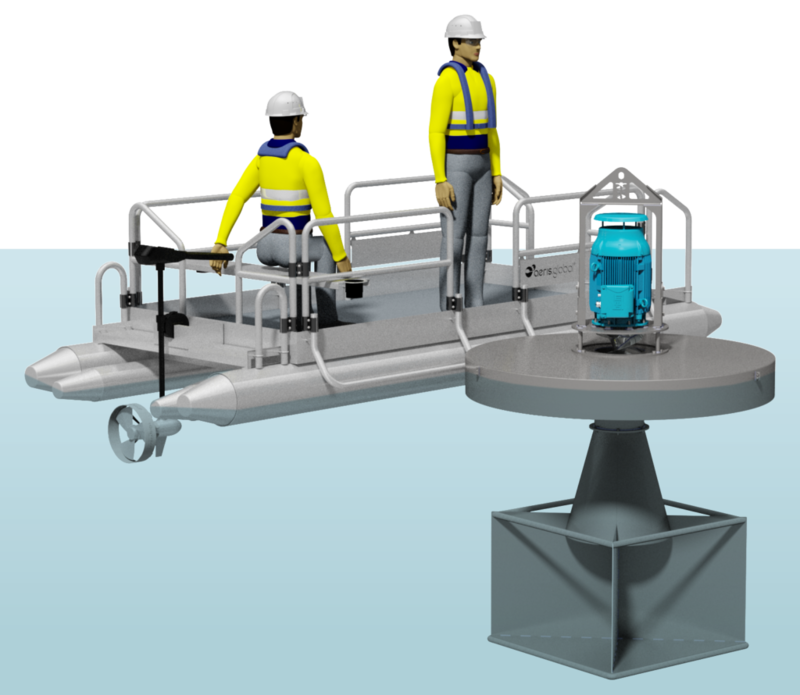 Otterpontoon– Safe Access Platform, is a highly stable work platform incorporating handrails, rescue rails, non-skid floor, bench seat, tool holders, 24-Volt brushless electric drive, propeller guard and 240V battery management system. Otterpontoon is designed to be moored at an Otterdock but can berth at virtually any jetty.